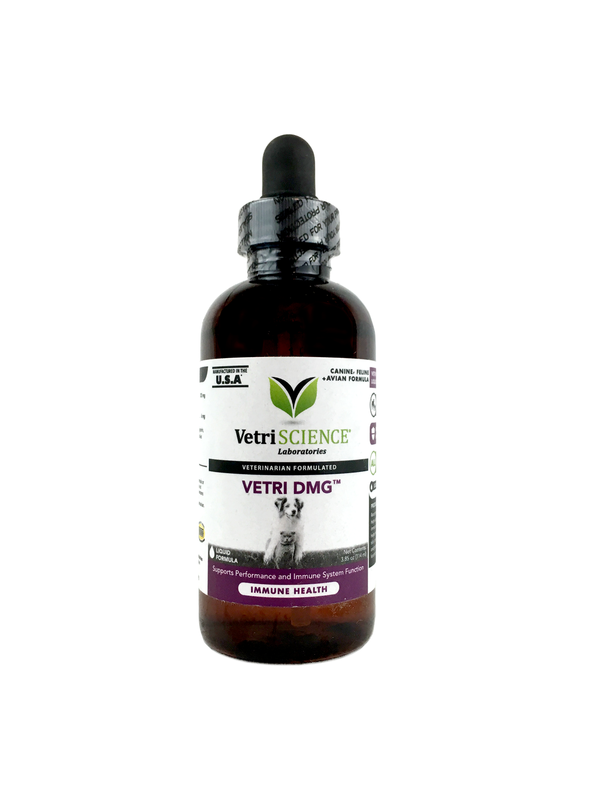 Vetri DMG™ supports immune system function and performance in dogs, cats and birds. 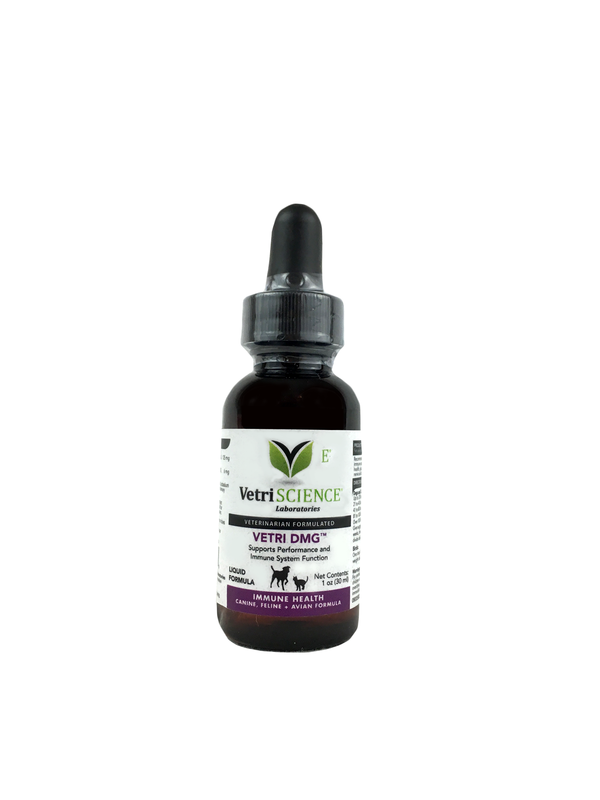 VetriScience® Laboratories’ Vetri DMG™ is a formula to support immune system health and function in dogs, cats and birds. An adaptogen that helps the body cope with various forms of stress, DMG supports performance by enhancing circulation and efficient oxygen utilization. Through its ability to lower lactic acid build-up, DMG is known to support stamina. It supports the production of intracellular glutathione and SAMe, and supplies methyl groups for the building and normal detoxification processes of many bodily constituents (like neurotransmitters, hormones, vitamins, etc.). DMG helps to strengthen the immune response when the body is confronted by foreign antigens and microorganisms. Clinical studies show that DMG supports lymphocyte and antibody production. DMG has been used in both the human and veterinary health worlds for over 30 years with no adverse or negative side effects. Vetri DMG™ is available in a tablet or an easy to administer liquid. Dogs and Cats: Up to 20 lbs: 0.5 ml daily. 21 to 40 lbs: 1.0 ml daily. 41 to 80 lbs: 1.5 ml daily. 81 to 100 lbs: 2.0 ml daily. Over 100 lbs: 3.0 ml daily. Inactive ingredients: citric acid, glycerin, malic acid, potassium sorbate, purified water, and rosemary extract.